A man (Raj Babbar) must decide between true love or his familys reputation when he falls in love with a servant. 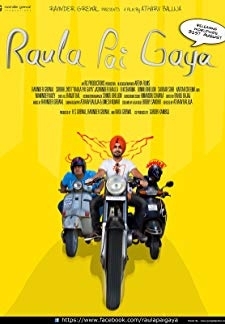 © 2018 Scratchu.com Long Da Lishkara | Raj Babbar, Om Puri, Gurdas Maan, Nina Tiwana, Harpreet Deol, Nirmal Rishi, Sardar Sohi, Mehar Mittal, Manjeet Maan, Geeta Khanna, Ashok Tangri, Beena Banerjee, Achala Sachdev - Long Da Lishkara (1986) | Punjabi Movie | 8.1/10 | Synopsis : A man (Raj Babbar) must decide between true love or his familys reputation when he falls in love with a servant.... Watch Online!! !